Thank you Community Trade Union! 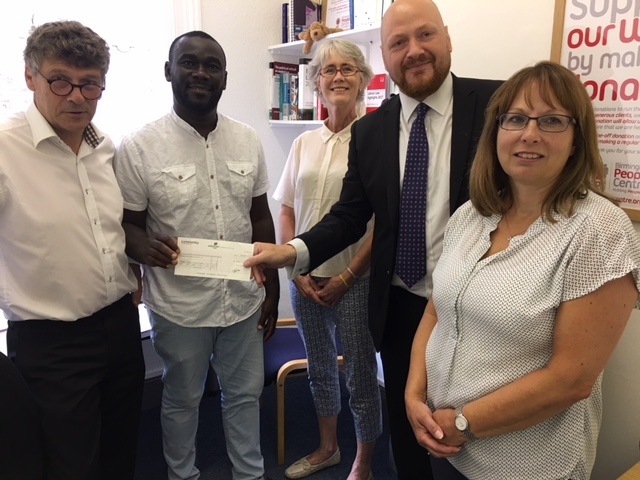 Eugene, Sue and Trevor receiving a cheque for £250 to help with setting up the new interview rooms from Gavin Miller and Tracey Field from Community Trade Union. A big thank you to Community for their support. Birmingham Peoples Centre is a not-for-profit organisation that provides employment advice to people experiencing work related problems. We assist people who are employed or if they have been dismissed. We only act for employees. Birmingham Peoples Centre is a company limited by guarantee (8021913) and a registered charity (1157384).